As high-performing as it is sophisticated, the 2019 Porsche Panamera was built to impress. Ample space, plush appointments, and intuitive tech features are the bread and butter of the Panamera. 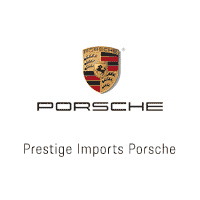 If you need a closer look at the Panamera, there are plenty in our inventory at Prestige Porsche. Enjoy a test drive around Denver with one of our friendly team members. 2018 Porsche Panamera 4 E-Hybrid in Carrara White Metallic AWD 8-speed Porsche Doppelkupplung (PDK), 2.9 liter twin-turbo V6 engine producing 330 hp and electric motor producing 136 hp, total output: 462 hp, Leather Interior in Black. Included Options: Preparation for Deletion of Model Designation Wheel Center Caps with Colored Porsche Crest Carrara White Metallic Steering Wheel Heating 20" Panamera Turbo Wheels Door Handles in High Gloss Black Smoking Package Model Designation Painted Standard Interior in Black Vehicle Cable (25 ft) 7.2 kW Onboard Charger Premium Package Plus Voice Control Ambient Lighting Other Features: ABS brakes, Alloy wheels, Compass, DVD-Audio, Electronic Stability Control, Front dual zone A/C, Heated door mirrors, Heated front seats, Illuminated entry, Low tire pressure warning, Navigation System, Porsche Communication Management, Power Liftgate, Power moonroof, Remote keyless entry, Traction control.